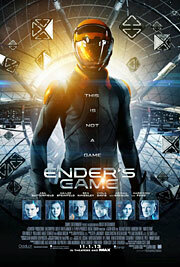 Much like the Alan Moore/Dave Gibbons comic book miniseries “Watchmen,” Orson Scott Card’s sci-fi military novel “Ender’s Game” was deemed unfilmable by the author for years. But just as Zack Snyder found a way to bring “Watchmen” to the big screen, so too has Gavin Hood with “Ender’s Game.” Despite having never read the novel myself, it’s easy to see why Hollywood had so much trouble adapting the source material, because although Hood has succeeded in some respects, it feels like a more streamlined version that’s missing a lot of the complexity that made the novel so revered in the first place. It’s like “Harry Potter” meets “Full Metal Jacket,” and while that’s certainly an intriguing mash-up, the movie doesn’t quite live up to the book’s reputation. Following an attack on Earth by an alien species known as the Formics – in which millions of people were killed before a brave fighter pilot single-handedly defeated the enemy fleet – the planet’s military leaders have begun planning for their return. At the forefront of the defense effort is Colonel Graff (Harrison Ford), who runs a program training gifted youngsters with the best tactical minds in the hope that they can lead Earth to victory should the insect-like Formics return again. One of the program’s newest recruits is 12-year-old outsider Andrew “Ender” Wiggin (Asa Butterfield), a brilliant strategist whom Graff believes has the potential to save their entire species. Sent to an orbiting space station for a boot camp called Battle School to train with the other top recruits in a series of physical and mental challenges, Ender is pushed to his limits by Graff to prepare him in time for the next attack. Tim Lake (Domhnall Gleeson) has just turned 21, and the day after his family’s customary New Year’s Eve party, his father (Bill Nighy) lets him in on a secret: the men on his side of the family have the ability to travel through time. All he needs to do is go somewhere dark (like a closet or bathroom), clench his fists, and think of the time and place he wants to go back to. There are some caveats to Tim’s newfound powers, but the most important one is that he can only change events in his own life, so he decides to use them to find a girlfriend. It’s hardly the most inspiring use of such an incredible gift, but after moving to London to work as a lawyer, Tim meets the girl of his dreams in American import Mary (Rachel McAdams). He’s able to perfect every moment in their relationship by doing it over and over again “Groundhog Day”-style, but Tim eventually discovers that there are consequences to altering history. Talk about being acutely aware of one’s demographics. “Last Vegas” takes the easy joke at nearly every opportunity, and it is exactly what makes the movie work. It’s a familiar story line with punched up dialogue (as well as a pair of killer visual gags), delivered by comedy masters. Where action movies are equated with popcorn, “Last Vegas” is comfort food. It’s not terribly good for you, but it sure tastes good. Billy (Michael Douglas), Paddy (Robert De Niro), Archie (Morgan Freeman), and Sam (Kevin Kline) were best buds as kids in the ‘50s. The Flatbush Four, they called themselves. Life took them in various directions, and the latter three are living in a private hell for various reasons (death of a spouse, failing health, and boredom, respectively). 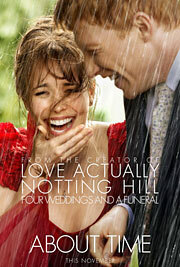 One day, Billy calls them and tells them he’s finally getting married to the lovely 30-something Lisa (Brie Blair). 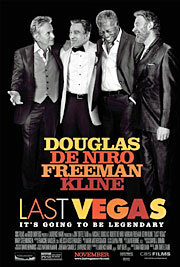 The group decides to get together in Las Vegas to send Billy off in style, but old feelings between Paddy and Billy flare up immediately, and are only further complicated when they meet Diana (Mary Steenburgen), a lounge singer who ignites a similar rivalry to the one Billy and Paddy had when they were kids. If the first rule of Fight Club is not to talk about Fight Club, then the second rule is not to disobey the boss, as an unwitting fighter discovers in the opening scene. When the fighter refuses to take Donaka Mark (Reeves) literally after being told to finish off his opponent, the warrior loses more than his employee parking. Chen Lin-Hu (Tiger Chen) is an overworked delivery driver (think FedEx on mopeds). When he’s not delivering parcels in the congested streets of Beijing, young Chen is spending time at Master Yang’s (Yu Hai) Tai Chi temple. Chen has all the moves, but he’s unfocused, believing power over spiritual balance is the way to excel, and more importantly, win fame through the nationally televised martial arts tournament. It’s not long before Mark catches wind of Chen’s fighting prowess and tries to bring him into the fold. 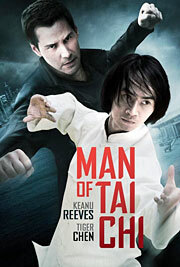 Chen initially resists the promise of money and fame to be part of Mark’s underground fighting ring, but when situations threaten the temple, Chen gives in. As his victories begin to pile up, all the rage Chen’s been holding back begins to surface, prompting him to team up with an ambitious detective named Suen Jing-Si (Karen Mok) to bring down the elusive Donaka Mark before Chen’s next fight is his last. Classics will always have a place in our hearts, but to find a place in our driveway, they need to reignite that passion. 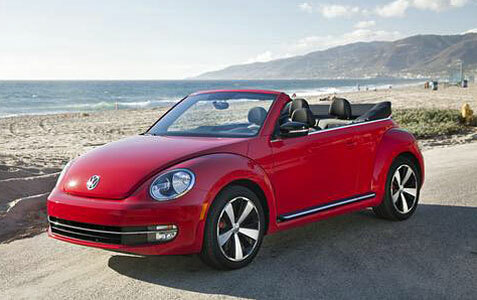 VW has done exactly that with the venerable 2013 VW Beetle Convertible. Ever since the type 15 Convertible from 1949, the Beetle has been one of the most popular open-top cars built. After driving this fun mobile for a week, we totally get why all ages love this car! The Beetle Convertible retains the bold, purposeful stance of the Coupe, thanks to wider tracks and a longer wheelbase than the previous New Beetle Convertible. Compared with the 2006 version of the older car, the latest Beetle Convertible is 3.3 inches wider at 71.2 inches, 1.1 inches lower at 58.0 inches tall, and 6.0 inches longer at 168.4 inches overall. There is no doubt that this redesigned Beetle has more of an edge than past models. Due to the targeted use of materials and laser welding of selected parts, the body stiffness was increased by 20 percent over that of the New Beetle Convertible; the torsional rigidity is now 17.8 Hz. Top up, the Beetle Convertible has an even lower roofline than the Coupe’s. The top lies flat when it’s lowered, giving good visibility; the flexible leatherette top boot tidies up the appearance and is also a nice retro touch. Volkswagen decided to stick with a traditional softtop because it allows for a roofline that’s more like the original 1949 type 15s. Also, a softtop takes up less space than a folding hardtop, thus giving more trunk space. The heatable rear window is made of tempered safety glass. The softtop’s outer shell is made from three layers: an outer one of polyacrylic woven fabric; a middle layer of synthetic rubber; and an inner lining of polyester. Underneath, there’s a three-layer design for the insulation, made from polyester nonwoven fabric, polyethylene terephthalate (PET) insulating fleece, and polyester spunboard. The headliner is made from foam-laminated fabric. The result is a snug top that yields remarkably low levels of wind noise. The top is powered by two electric motors and latches and unlatches automatically at the touch of a button, which is located on the upper rail of the windshield surround. The top takes just 9.5 seconds to stow and 11.0 seconds to be raised. The difference is in the time it takes to latch the roof’s header to the windshield. The top can be raised and lowered at speeds of up to 31 mph, unusually high for a convertible. Pressing and holding the button opens the top, while pulling and holding closes it. The side windows automatically drop when the top is opened and are raised when it closes. There is an indicator light located in the instrument panel. Trunk space remains the same whether the top is open or closed. Our test model was an eye catcher with a tornado red paint job and black softtop that really popped alongside the 18-inch alloy wheels with all-season tires.